Yes, there really is free parking at Tropicana Field. At most ballparks you can find free parking somewhere, if you’re willing to walk at least a half a mile and/or risk getting your car towed. 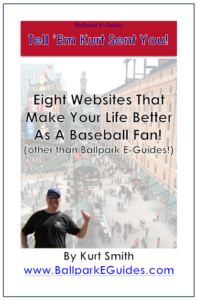 But for Rays games, you need only find three people to carpool with–admittedly a challenge with a team that inexplicably still has trouble drawing fans, but still a viable option. The Rays list this under “The Rays Go Green”, but apparently they’re most ecology-minded after getting out of church, since this option is only widely available on Sundays, while the rest of the week it’s for the first 100 cars in the lot. 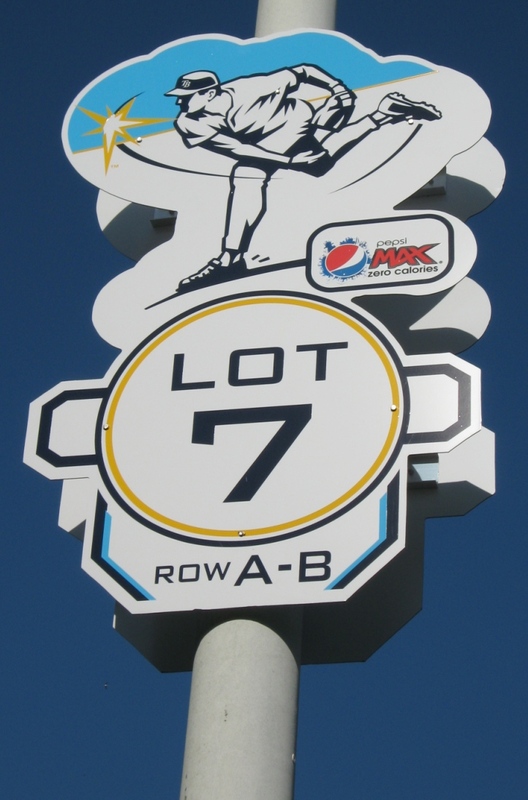 The applicable lots are Lots 2, 6, 7, 8 and 9; Lots 6 and 7 are closest to the field and are off of 10th Street west of the ballpark. Not a bad deal, unless you’re one of those anti-social tightwad types who goes to the game with other people only so that they’ll chip in on the parking. In that case, there are further lots that charge about half of what the Trop does, but they’re a bit of a hike. 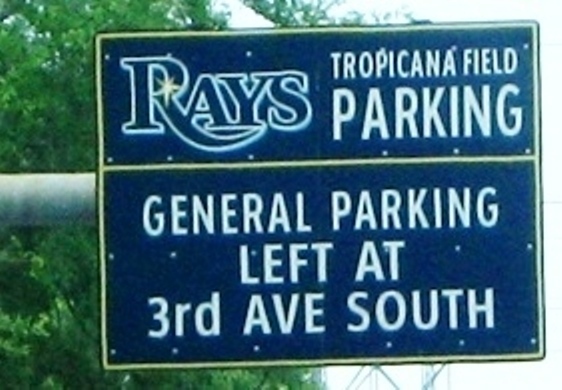 Free parking at Tropicana Field…in an “official” lot! The best thing is that the “premium game” parking rate is even waived for this—the Rays say “all other games”, so from that I assume that you can even score free parking at Tropicana Field when the Yankees and Red Sox are in town. I probably shouldn’t mention this, since it may have been an oversight on their part. So don’t tell the Rays I told you. 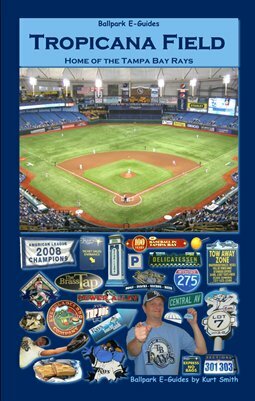 Tropicana Field will never win any best ballpark awards, but it does have some things going for it, and one of them is that a Rays game won’t break your wallet in half. The upper reserved and upper box seats are perfectly reasonable and decent seats at that, and if you’re early enough you can bring some friends and park for free. And you know the game won’t be rained out. Lots of bargains out there…all you gotta do is look. This handy little guide can definitely help you out.